It has been quite a bee keeping year so far. I had a brand, spanking new nuc that was flourishing just 2 weeks ago and then BAM! The hive was completely empty. It looks like another possible case of Colony Collapse Disorder. As a bee keeper this is very frustrating. I have only had issues with this the last couple of years and I have lost lots of bees and lots of money. I have no idea what the cause could be, other than a nearby farm spraying chemicals or possibly the round-up ready corn planted on the neighboring property. Either way, agriculture can be tough at times and I am not one to give up. 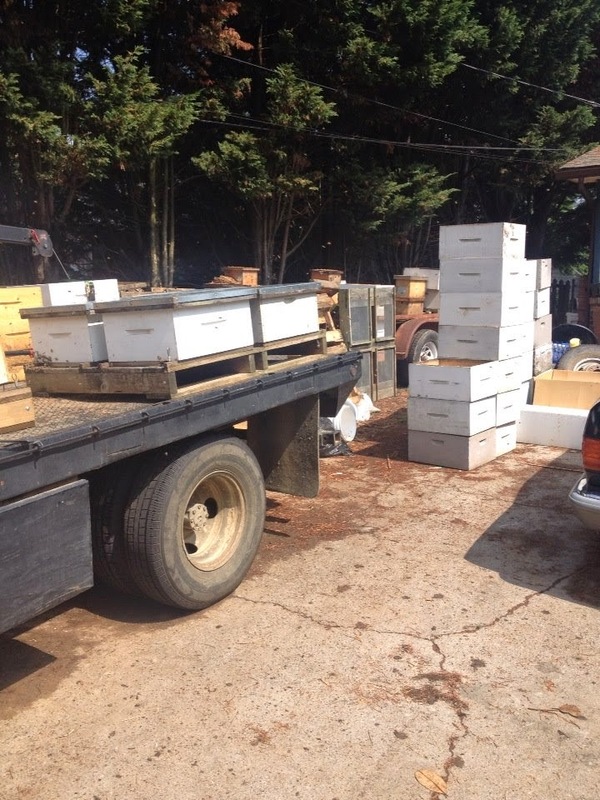 This week we drove north to Knoxville, TN and picked up 2 nucs from a bee keeper there who raises Russian and Russian mix bees. His driveway and yard looked like a bee keeper lived there and there were bees flying everywhere! He owns 500 hives and sells mostly nucs and starter hives to area folks, about 200 a year. He has been keeping bees for 35 years and told me that he too has issues with pesticides. He also said bee keeping is much harder now than back then, and my troubles are experienced by bee keepers across the country, including himself. Was happy to get some new bees from him, as he doesn't treat his bees with any bee chemicals or drugs. He also told me that his hives that get full sun do not have issues with the small hive. That made me realize that my full sun hives don't have SHB issues either. We plan to consolidate all of our hives to one side of the property that gets more sun and where my current Russian hives are thriving. Hopefully that will help any SHB problems. The hives are home and doing well. I will be feeding them sugar syrup all summer to help get them ready for winter, especially since nectar flow is over here in my neck of the wods. We have had a typical summer weather pattern of hot, humid sun most of the day and then late afternoon thundershowers. It is nice to sit on the front porch and watch the cool rain. 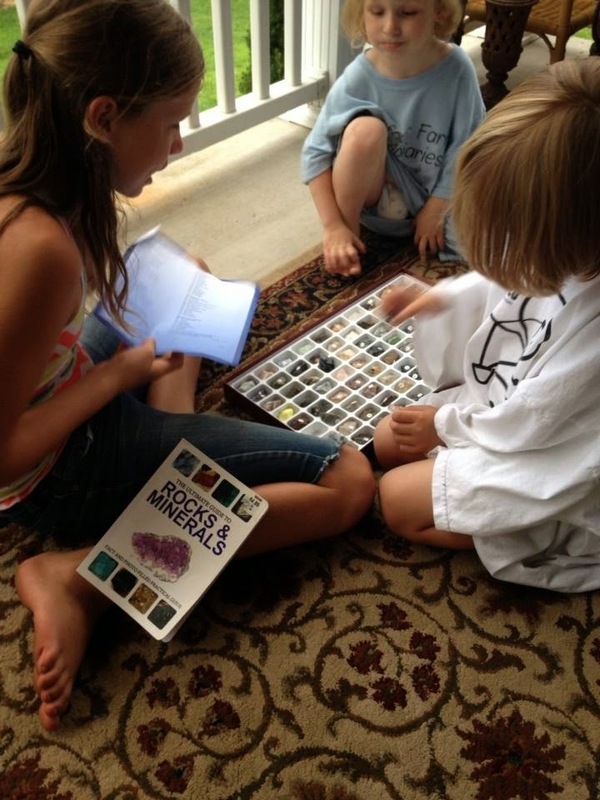 The kids have been looking through a rock and mineral book, picking out their favorite ones. They decided to comb through a rock and mineral set that I bought about 12 years ago for home schooling. The set has samples of real rocks and minerals, numbered and labeled. Willow actually was able to identify several rocks that she found on the property. This is homeschooling. 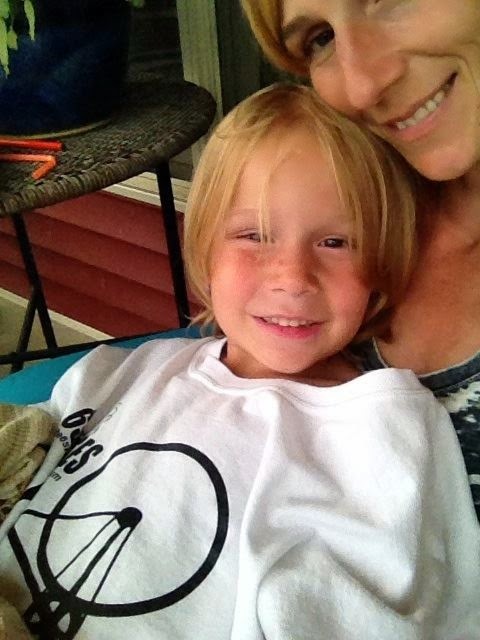 People always think that home education means sitting around a table for hours on end staring into thick textbooks. Nope. This is homeschooling: sitting outside and deciding that looking up rocks and minerals would be great fun and then spending an hour identifying rocks and where they are found. Nobody made the kids do this because they had the desire and motivation to do this on their own. It doesn't always work this smoothly and perfectly, of course, so I just sit back and relish the moments when it does. That is how we homeschool as well. Sometimes though, my kids lose interest while I go get a book or the computer to look stuff up on. It is those times that I wish I knew everything so I wouldn't have to go look it up! I agree though, the 'in the moment' process is the way to go, at least for us.